Until the 90s, Chinsapo was an outstation of Likuni Parish under the care of the Missionaries of Africa, namely Fr. Roger Bélanger and Fr. Angelo Belloti who developed interest in the area. When the Missionaries of Africa handed over Chilinde and Kawale parishes in 1998, Chinsapo became a possible place to establish a new parish. Already, Bishop Felix Eugenio Mkhori foresaw that Chinsapo would become a parish. Fr. Martin Onyango initiated the whole process while being curate of Likuni Parish. Together with the Christians, he bought the plot with financial support from the Missionaries of Africa, the people themselves and Bakili Muluzi, President of Malawi between 1994 and 2004. Fr. Martin Onyango, Fr. Jacques Pallas, Fr. Piet Van Hulten, and Fr. Julio Feliu worked in Likuni until it was handed over to the diocese in 2003. Fr. Jacques Pallas, chaplain of Likuni hospital, though staying at the sector house in town, went to Chinsapo regularly. The idea of Chinsapo becoming a Parish came back in 2008. Fr. Piet Van Hulten together with Fr. Louis Blondel sent Fr. Julio Feliu, who was then the Parish Priest at Mua, to Chinsapo. Earlier on, during a confirmation ceremony of 200 Christians, the people of Chinsapo asked Bishop Rémi Sainte-Marie to make Chinsapo a parish. Fr. Julio arrived in Chinsapo in February 2009. He put his heart into the pastoral work. Though the official status of Chinsapo was not clear, Fr. William Thurnbull, then the Sector Delegate for Malawi, and his team kept supporting Julio. Finally, Chinsapo became a quasi-parish on 3rd June 2009, the Feast of the Martyrs of Uganda and named after St. Denis. The infrastructural developments currently in Chinsapo started with the construction of the sports ground which in the beginning was the crossroad of many roads. Afterwards the Christians built a fence at a cost of about four million kwacha. Then the catechist’s house, Home Base Care (HBC) also known as the Rainbow Centre was constructed with support from a Spain-based NGO, followed by the Justice and Peace office. In 2010, Chinsapo received some financial help through Bishop Rémi from the Society for the Propagation of the Faith in Rome to build the Parish residence. It has taken six years for the building project to be completed. Unfortunately, Fr. Julio fell ill due to back problems and had to go home for treatment. During that time the future of Chinsapo became very dim as there were even plans of having it over to the Silesians or the Jesuits. Then Fr. Felix Phiri, the new SAP Provincial, realising the situation of Chinsapo, requested Fr. Julio to ask the confreres at the Sector house for support. From that time, Fr. Paul Namono, Fr. 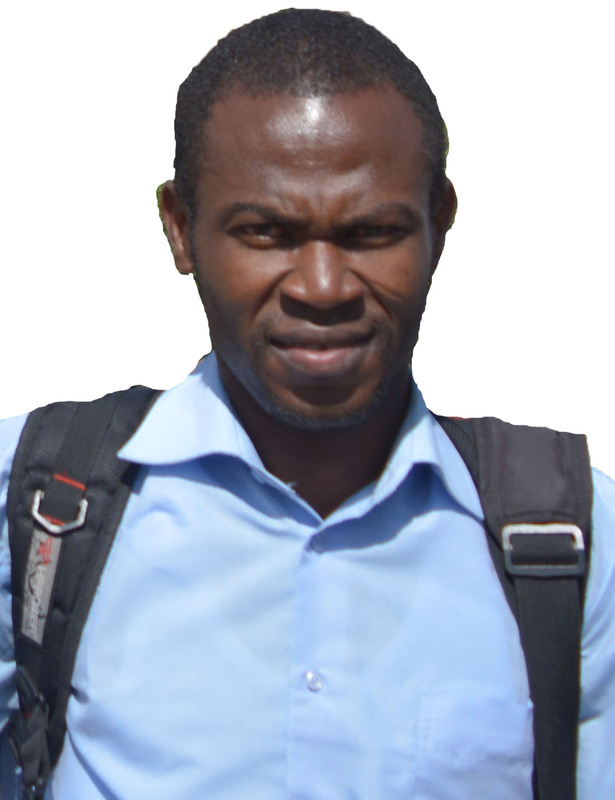 Michel Sanou, Fr. Africano Mucunguzi kept giving Julio a helping hand in the Pastorals at Chinsapo. Around the middle of this year 2018, the Province/Sector decided to establish a Missionary of Africa community at Chinsapo and make Chinsapo a project of the Missionaries of Africa. 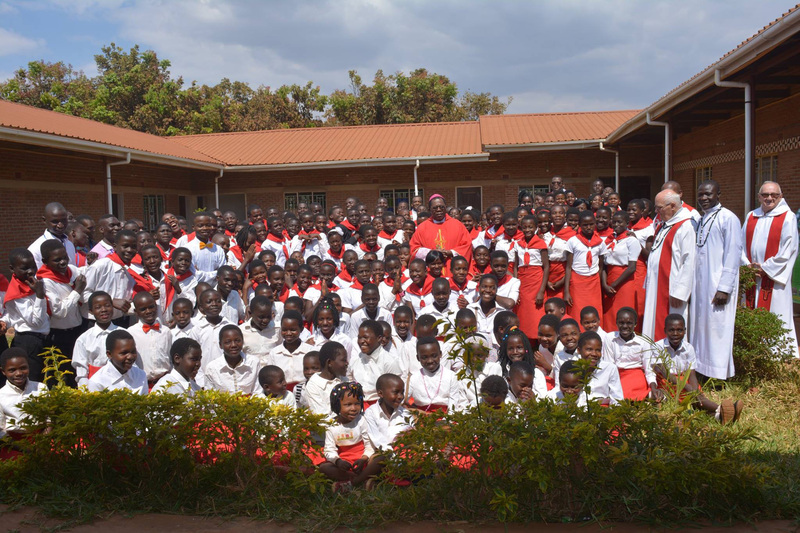 After discussions between the Missionaries of Africa and the current bishop of Lilongwe Archdiocese, Chinsapo was raised from to status of quasi-parish to a full parish. Chinsapo blessed with a Parish and Missionaries of Africa community. On the 26th of August, 2018 Chinsapo was blessed with the erection of not only a new Missionary of Africa Community, but also the raising of its status from quasi-parish to a full-fleshed one. 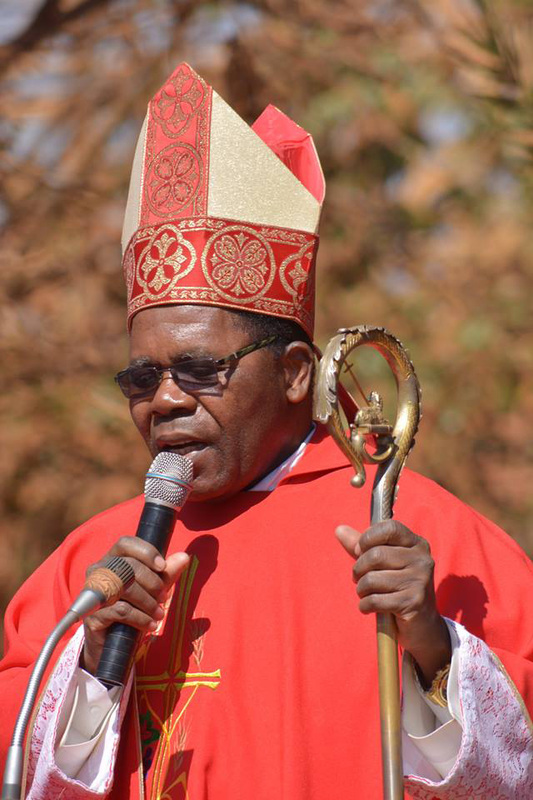 The Bishop of Lilongwe Archdiocese, Most Rev. Tarsizio G. Ziyaye, made the declaration at the end of a Eucharistic Ceremony. The Provincial Superior, Fr. Felix Phiri announced the coming of three confreres and a stagiaire. All new community members were present; Fr. Piet van Hulten, Fr. Julio Feliu and the stagiaire Crepin Kombate Moiyikitie. Yet to come Fr. Pawel Patyk from Poland. The declaration was greeted with a lot of ululations and clapping of hands. The Bishop then handed the official letter which he had signed, raising Chinsapo from a quasi-parish to a fully-fledged parish, to Fr. Felix Phiri, the Provincial Superior of Southern African Province. The Bishop thanked Fr. Roger Tessier who came from Kenya to visit Malawi, before returning to Canada for good. He knew Fr. Roger when he was the manager of Likuni Press, back in the 70s. At the end of the Mass, the Bishop blessed the house where the new community will be housed, amid melodious songs from the children’s choir. Both Fr. Piet and Fr. Julio see very great opportunities in the areas of Justice and Peace, Inculturation and Interreligious dialogue. There are about 32 different Christian denominations already at Chinsapo. Also, there is a good relationship with the Khadra group of Muslims, the Anglicans and the Lutherans. They foresee a great challenge in the area of Integrity of Creation, and population density as many people continue to settle in the area. The population is estimated to be about 800,000 people. The focus of Chinsapo as a Parish will be in the area of youth apostolate as almost 70% of the population are below 25 years old. Luckily, some Sisters are expected to arrive in Chinsapo, and they will be of great help in caring for the youth. This day was a very colourful day, not just because of the sacrament of confirmation that took place, but also because on this day the dream of many confreres and Christians of seeing Chinsapo as a parish was realised. On this same day, God also blessed this new parish with the presence of the Missionaries of Africa community. The questions, doubts and worries of many people about the future of Chinsapo have been laid to rest. My prayers that the Society, in this new pastoral commitment, remains focussed at trully addressing the challenges facing the Youth, seizing the great opportunities Chinsapo offers, may we live out our charism in areas of JPIC-ED and Ecumenism.